FACTS : Esca Global (Asia) Ltd.
A genuinely new and innovative product that will help you catch more fish – an essential addition to even the best-stocked tackle box. 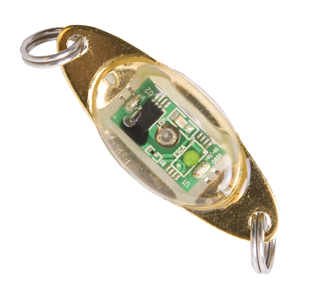 Inspired by nature’s living lights, Esca® is expertly integrated into small units that are used as add-ons to any lures or tackle ~ Improves all lures and baits! Esca® uses no batteries and generates its own energy in salt water. Esca® imitates nature's lure light frequencies and electro-magnetic fields to trigger hunting and biting instincts in fish ~ Makes lures, jigs and baits come alive! Attached to your favorite lure or tackle, Esca® will help you catch more fish. 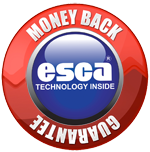 Esca® – More Fish, More fun! Light in the ocean is like light in no other place on Earth. It is a world that is visibly different from our familiar terrestrial world, and one that marine animals, plants, and microbes are adapted to in extraordinary ways. Light behaves very differently when it moves from air into water. It moves through the expansive depths of an ocean that is devoid of solid surfaces. These and other factors combine to create an environment that has no equivalent on land. In the late 90s, while on vacation in the south Pacific, Esca’s founder witnessed fishermen who used fish/squid with light organs as bait for catching other fish. These indigenous people had been doing this for generations. He decided to try to make a product that could imitate these lure lights. And thus, the idea for Esca was born. 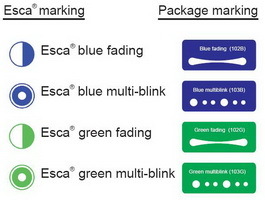 Esca® blue and Esca® green are optimized to emit very specific wavelengths that mimic the predominant lure lights used by marine organisms. Additionally our research shows, that static light doesn´t attract fish as effectively as dynamic light – which is why Esca® comes in fading and multi-blink. Esca® blue is generally recommended for clearer and/or deeper waters, while Esca® green light is more suitable for murkier and/or shallower waters. Try different colors and frequencies in combination with your favorite tackle to see what works best for you.